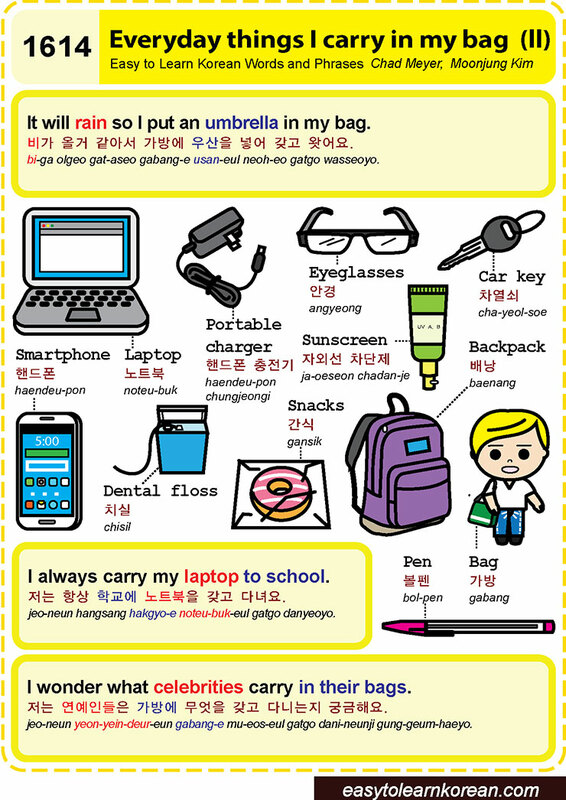 Easy to Learn Korean 1614 – Everyday things I carry in my bag (part two). 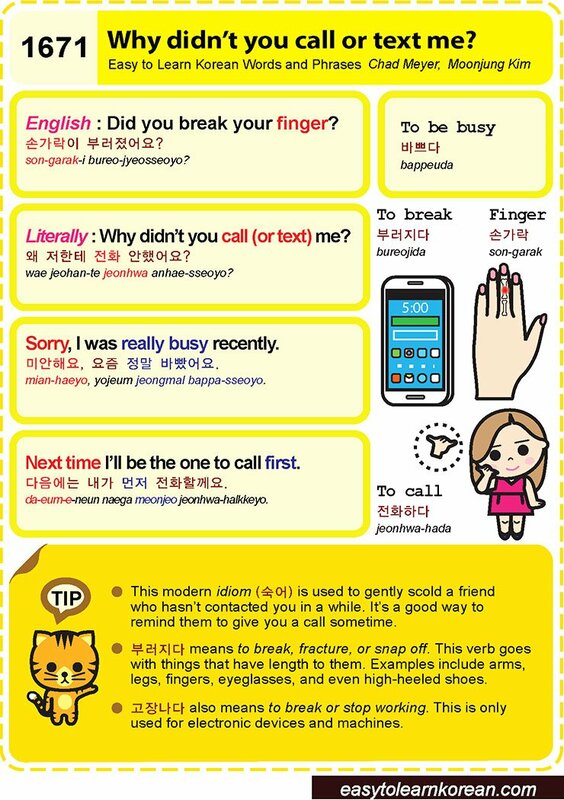 Easy to Learn Korean 1316 – Write, bitter, wear, and to use (part two). 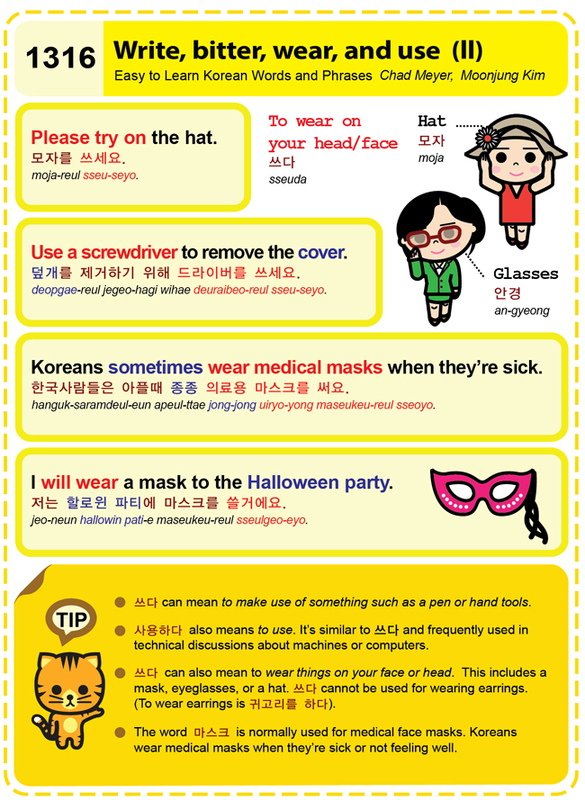 Posted in Series	| Tagged bitte, computer, eyeglasses, glasses, hat, I will wear a mask to the Halloween party., Koreans sometimes wear medical masks when they’re sick., machine, mask, PC, Please try on the hat., to make use of something such as a pen or hand tools, to use, To wear on your head/face, to wear things on your face or head, Use a screwdriver to remove the cover., wear, wear earrings, write, 귀고리를 하다, 덮개를 제거하기 위해 드라이버를 쓰세요., 마스크, 모자, 모자를 쓰세요., 사용하다, 쓰다, 안경, 저는 할로윈 파티에 마스크를 쓸거에요., 한국사람들은 아플때 종종 의료용 마스크를 써요.